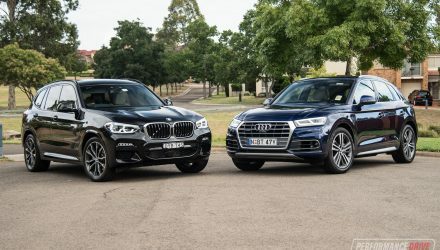 These two might not seem like the most appropriate vehicles to compare, but they do follow a similar set of values and offer very similar performance. 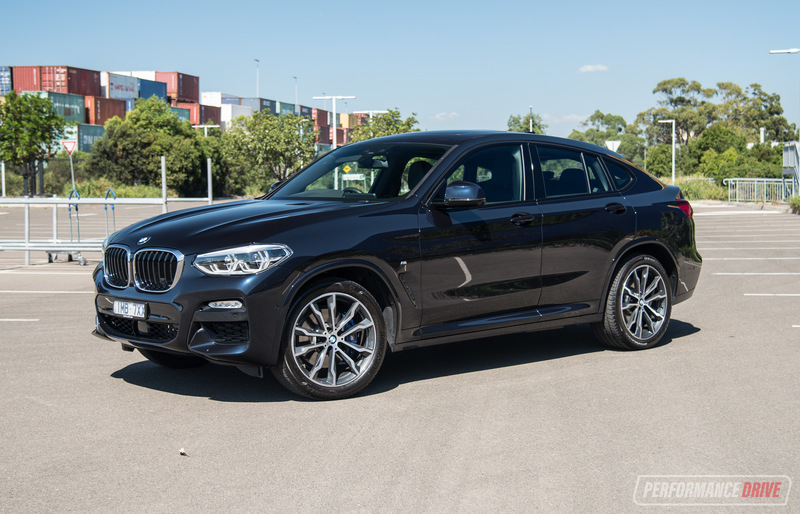 Think of it as a luxury V8-Supercars-for-the-road comparison. 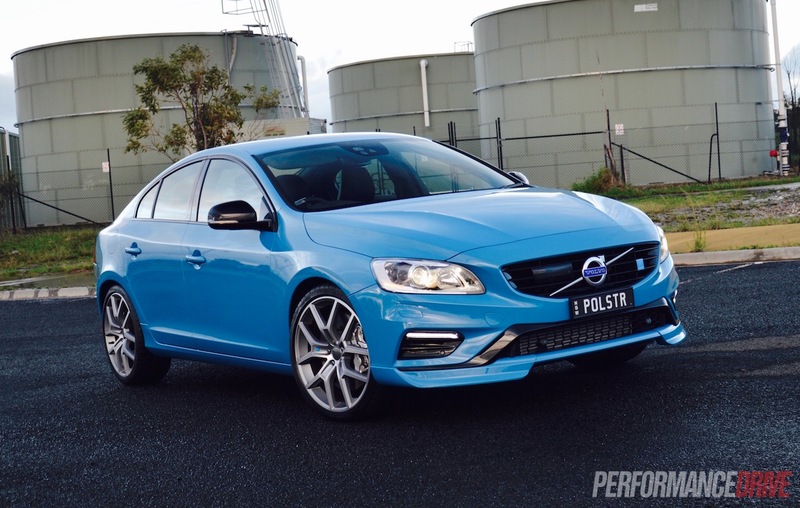 The HSV Senator Signature and the Volvo S60 Polestar deliver performance, practicality and comfort in very high levels. 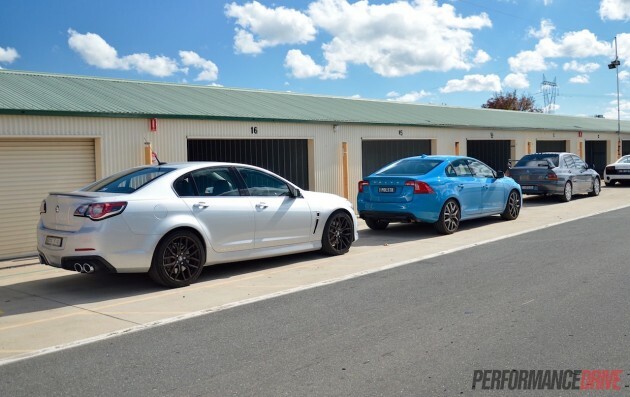 They both fall under the $100k price bracket, with the HSV kicking off from $83,990 and the Volvo starting at $99,990, and they both prove, as it turns out, there is such a thing as an ‘everyday’ track car. So, which is the one for you? 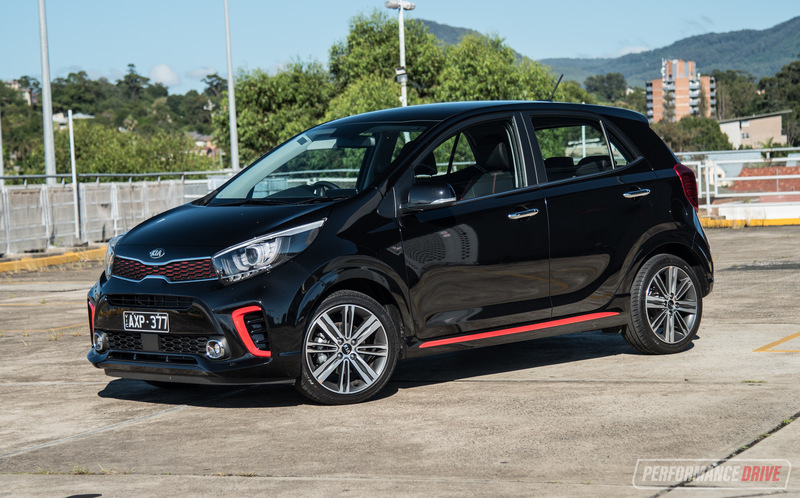 In the Aussie corner we have the Senator Signature, which now comes standard with the previously-optional ‘SV’ tune. 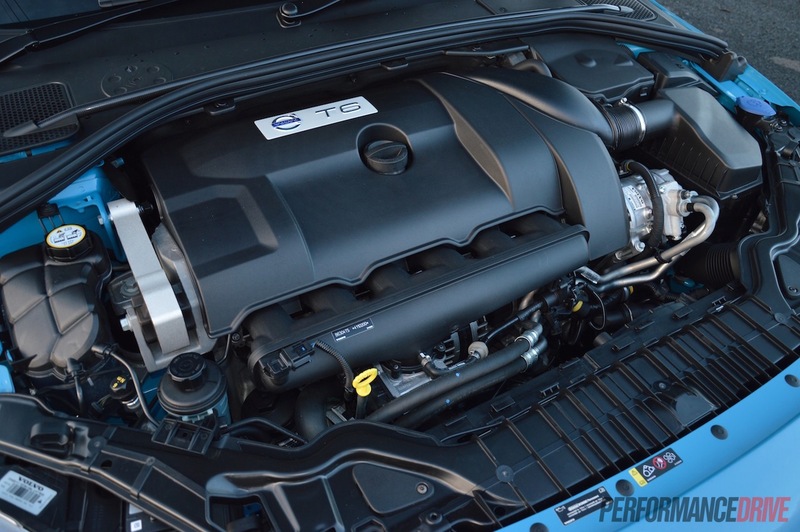 Under the bonnet is a 6.2-litre ‘LS3’ V8 engine producing 340kW of power and 570Nm of torque. 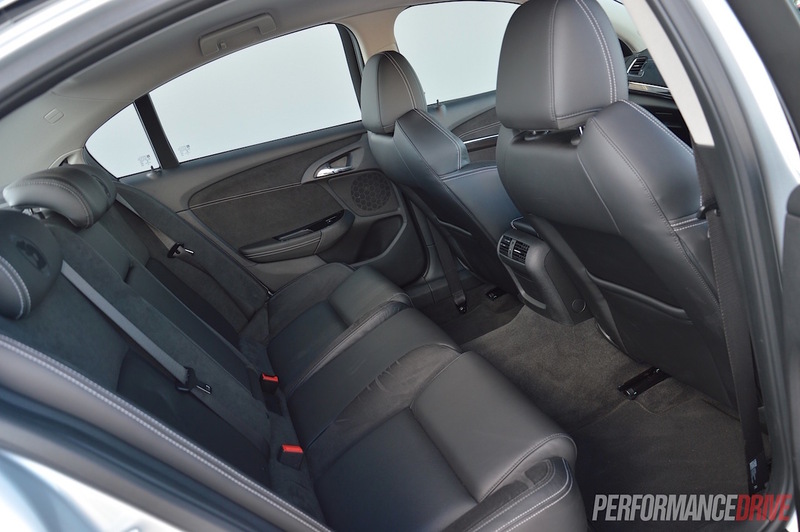 All of this muscle is sent through a six-speed automatic and into a rear-wheel drive system with a limited-slip diff. 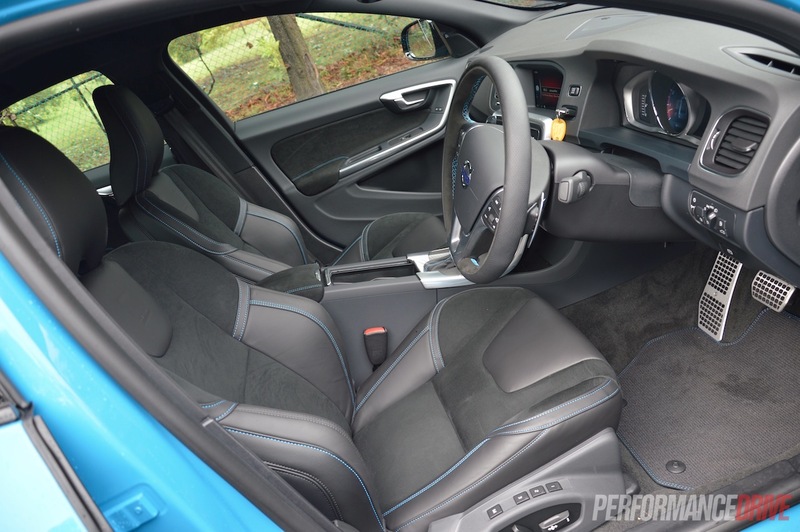 From the land of the massage and flat-pack furniture, the Volvo S60 Polestar is a single-variant model (aside from the V60 wagon version). 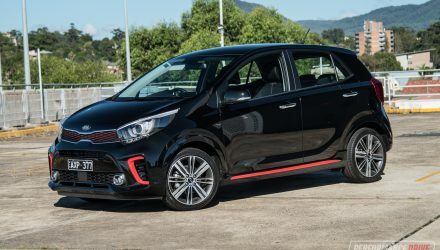 It comes with a 3.0-litre turbocharged inline six producing 257kW and 500Nm. 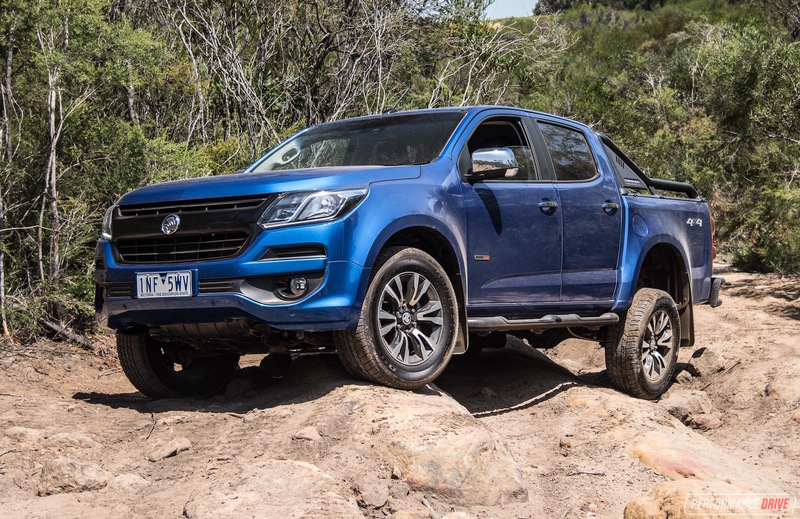 The smooth European force is sent through a six-speed auto and into an all-wheel drive system with a Haldex centre differential. 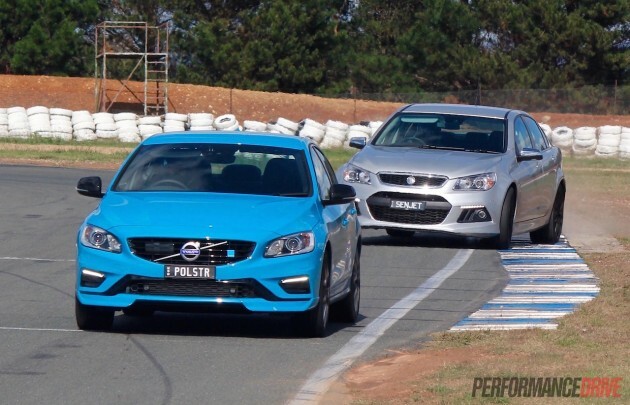 The HSV is obviously more powerful than the Volvo but the Volvo is lighter in weight; 1684kg versus 1743kg. 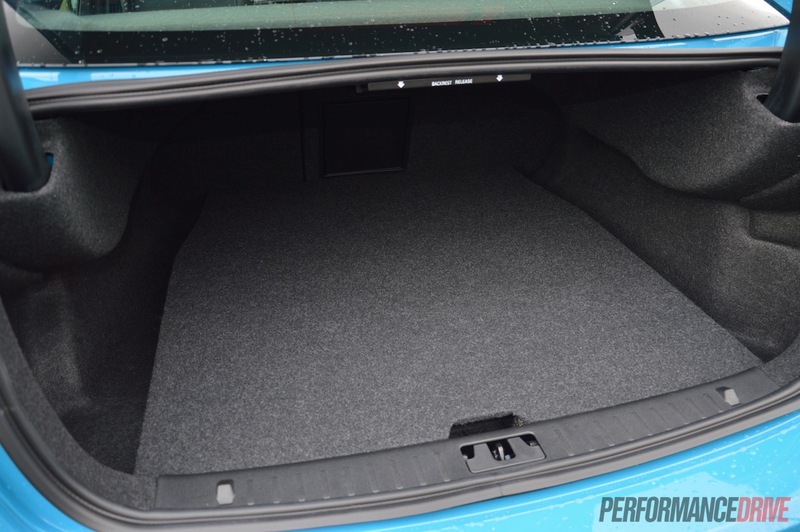 This not only helps with agility and performance, it helps to reduce fuel consumption. 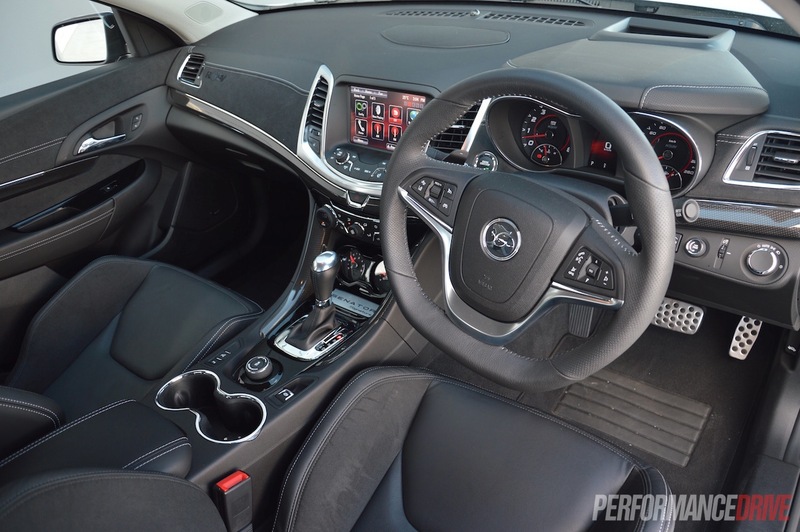 The HSV returns an official average of 12.9L/100km while the Volvo uses 10.2L/100km. Emissions are also lower in the Volvo: 243g/km versus 307g/km. 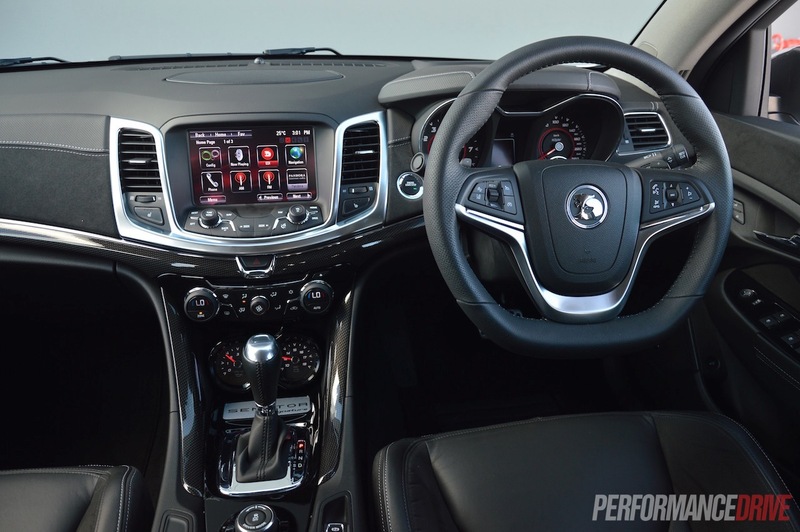 Both cars come with a comprehensive list of standard features, including a complex LCD interface with various on-board apps and controls, sat-nav, heated front seats (rear as well in the Volvo), and a plush leather-based upholstery with sports seats. 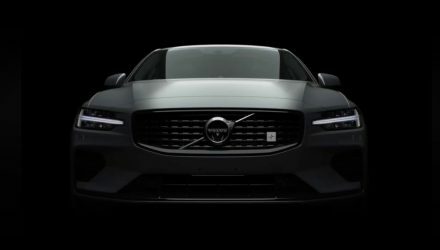 The Volvo just edges out in terms of standard kit, coming with radar cruise control, a 10-speaker stereo (as opposed to nine in the HSV), six-piston Brembo brakes (four piston in the HSV), and fully adjustable Ohlins suspension (Senator gets Magnetic Ride Control dampers). Interestingly, the Volvo also comes with launch control. 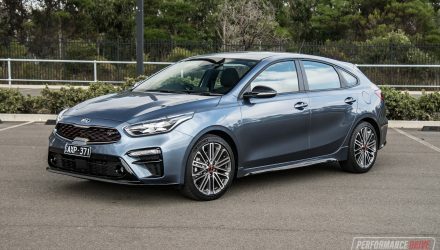 Both of these cars are designed to be luxurious and comfortable enough for everyday use, as well as offering the ability to tear a whole in the tarmac when your mood strikes. 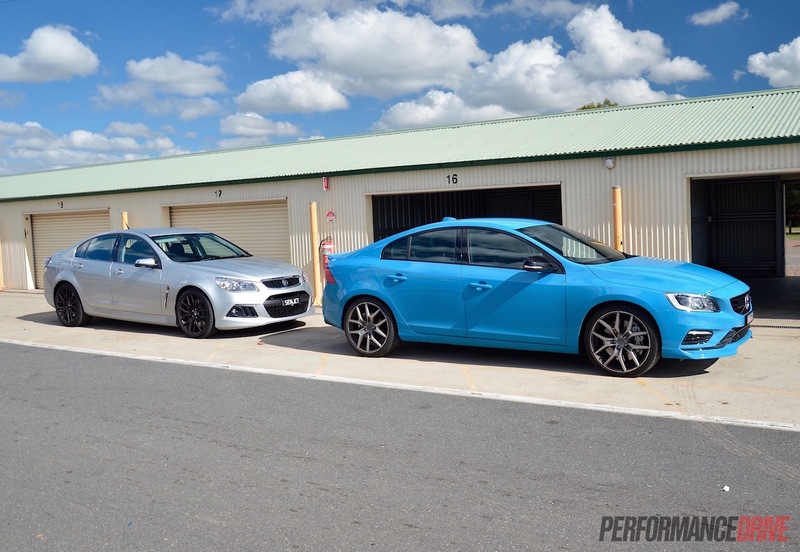 We’ve tested both of these cars for 0-100km/h and the HSV just trumps the Volvo, 4.8 seconds compared to 4.9 seconds. So, not surprisingly, down the straights at Wakefield Park (thanks to GP EXEC private track days) the HSV is able to reel in and surpass the Volvo’s sprinting capability. The HSV has long legs, with each of the six gears spread a fair distance apart. 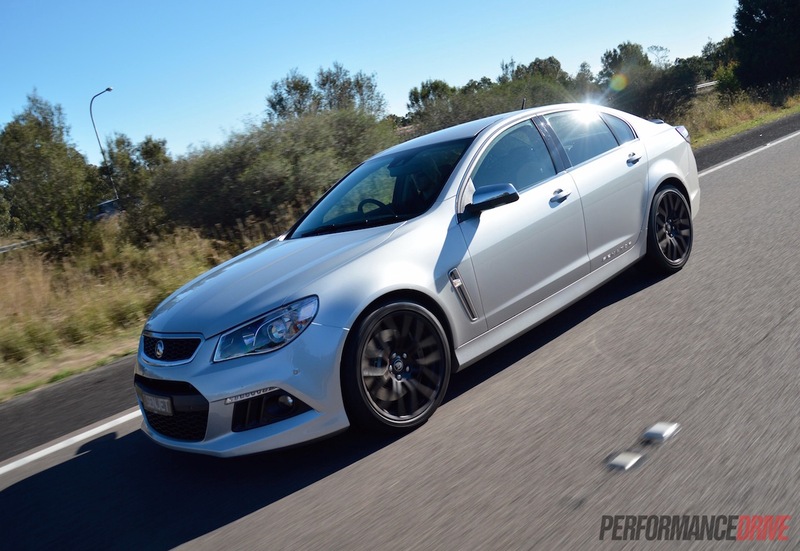 We think the HSV could be even quicker if had an updated transmission with more cogs, such as an eight-speed auto. Speaking of the transmissions, both only just pass as a ‘sports automatic’. They both slur into the next gear and are not very responsive to your commands. 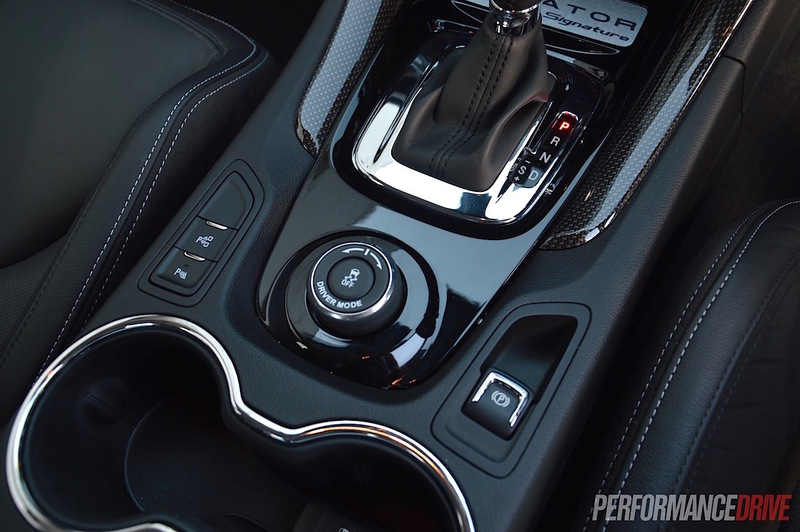 HSV has finally introduced paddle shifters for its range, and it does enhance the driving experience, but the gearbox itself remains old and somewhat dimwitted during shifts. In the Volvo, it’s a similar story. 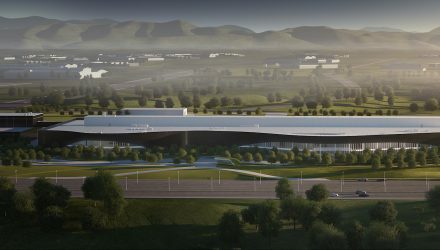 We really think it could perform a lot better if it had a more responsive and more direct unit, with additional ratios. 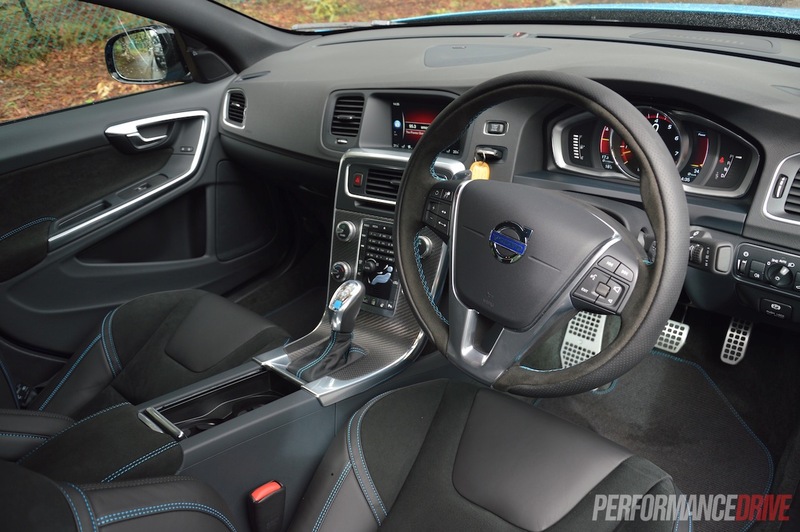 The Polestar comes with paddle shifters too, but downchanges are even less responsive than they are in the HSV. Rev-matching is slow and often falls short of dialling up the revs required to match the speed, which means you end up waiting around for a split second or two until it’s ready to change down. 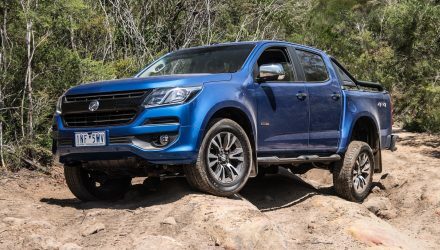 If you consider the style of these vehicles though, the transmissions are an appropriate fit, perhaps more so in the HSV as it is inclined more toward luxury motoring. 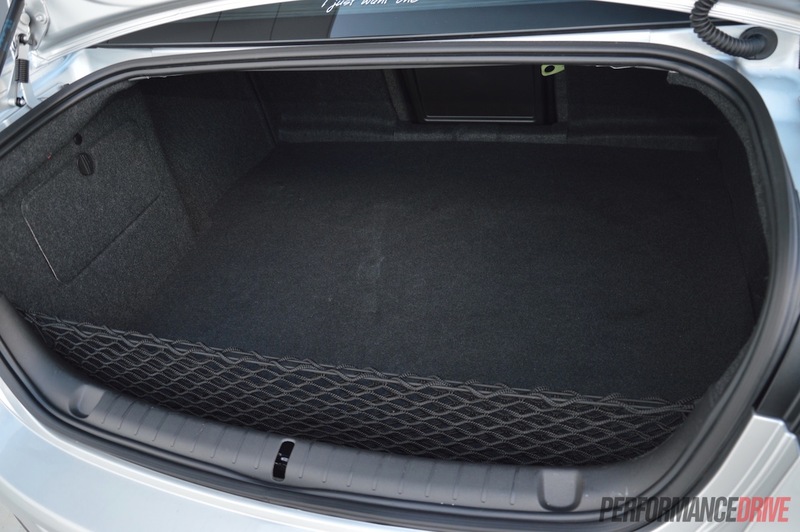 In the Volvo you have a full Ohlins aftermarket-style suspension setup, indicating just how serious it is about sporty driving. Cornering is quite different between these cars. With the HSV you have/tend to approach the corner in a traditional format, braking hard into the bend and then slowly feeding in the power from the apex. In the all-wheel drive Volvo, it’s quicker to come hotter into the corner and get onto the power earlier. 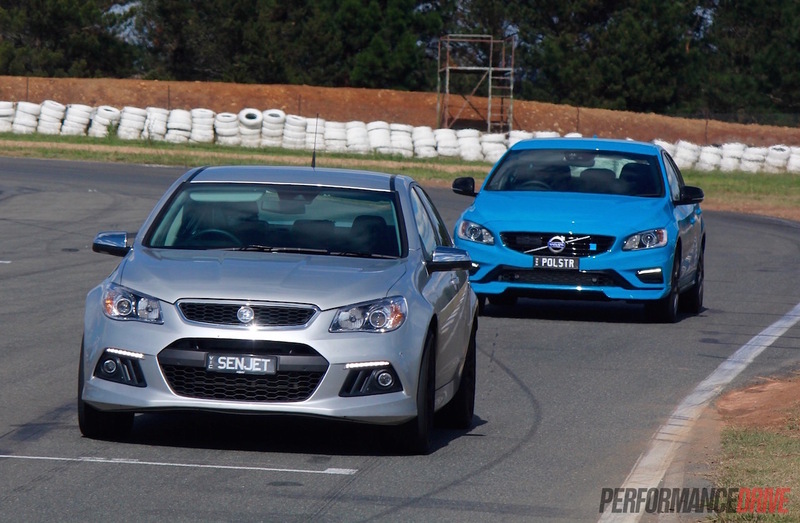 Using these methods, the HSV can oversteer, depending on your timing with the controls, while the Volvo can understeer, again, depending on your timing. The Volvo does seem to hold a higher cornering speed in faster corners. 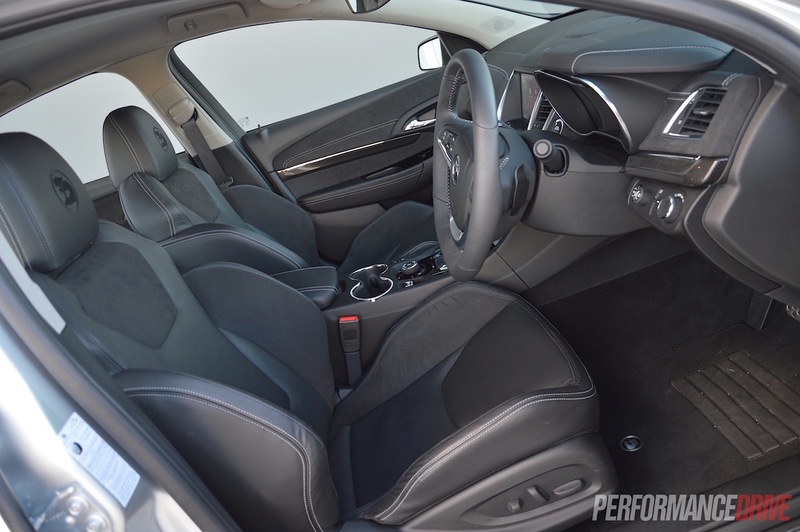 You can keep the throttle partially or fully open, whereas in the HSV its front end offers more grip and it can jump into tighter corners quicker and with more stability. Both vehicles use 20-inch wheels but the HSV comes with staggered sizes; 255/35 front and 275/35 rear, versus 245/35 all around on the Volvo. 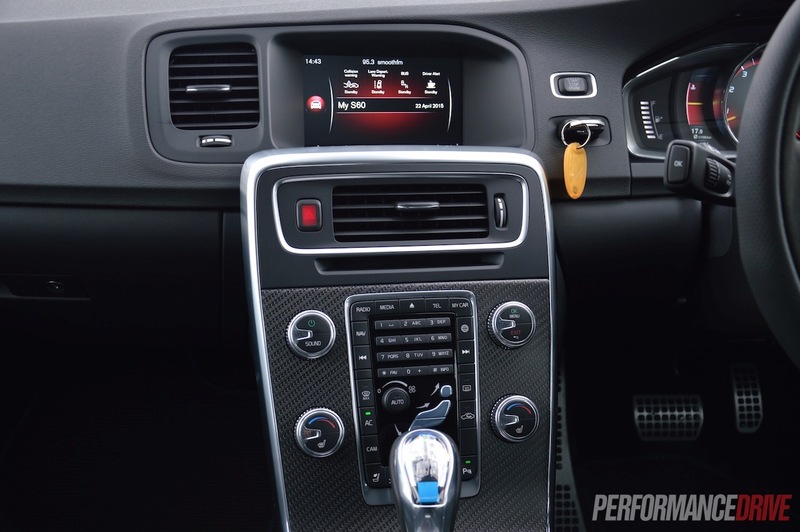 Steering response should be higher in the Volvo due to its lower profile rubber. This isn’t the case though. 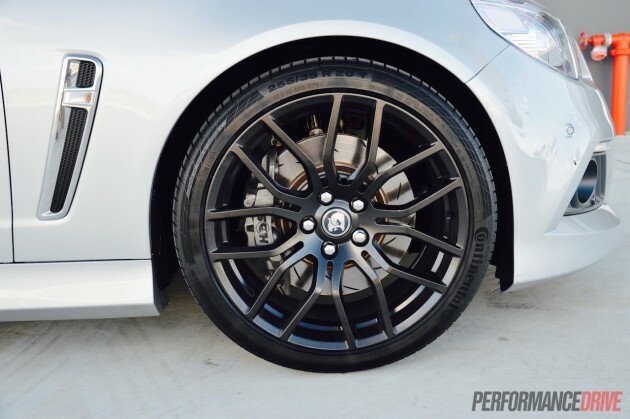 The HSV steers in nicer and there is more engagement through the wheel. 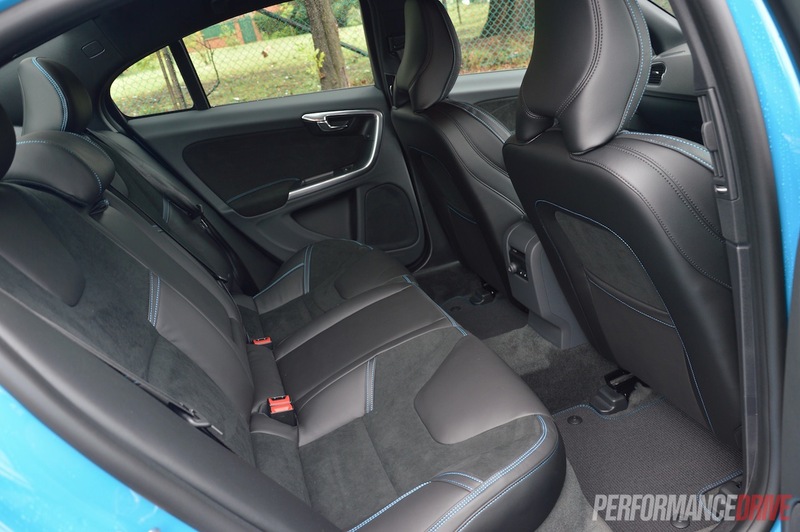 Even though both exhibit some play and sloppiness on-centre, the HSV’s setup is more enjoyable and feels more sincere once you’re off centre. Under braking both cars present excellent performance. You can jump onto the pedal very late in corners if you misjudged your timing, and both will pull up with proper face-distorting deceleration. 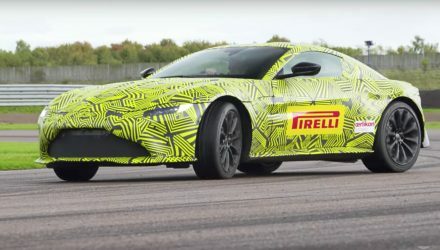 Surprisingly, they both have a high resistance to fade, even after 10 flat-out laps. 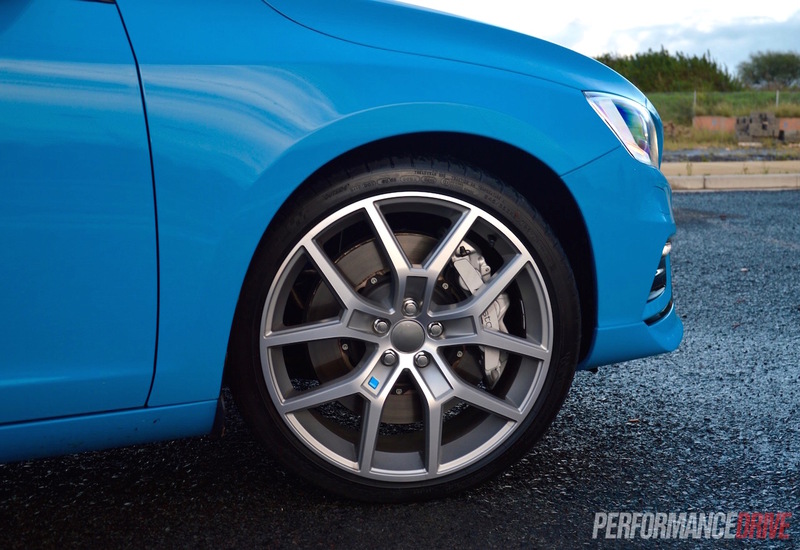 The moment of pedal pressure does start to drop in the Volvo, however, they always provide exceptional stopping power. If you are planning on buying the Volvo and taking it to a track, we’d recommend getting some higher grade brakes pads. The standard items can get rather smokey when you pull into the pit lane. This might explain the pedal dropping behaviour too. 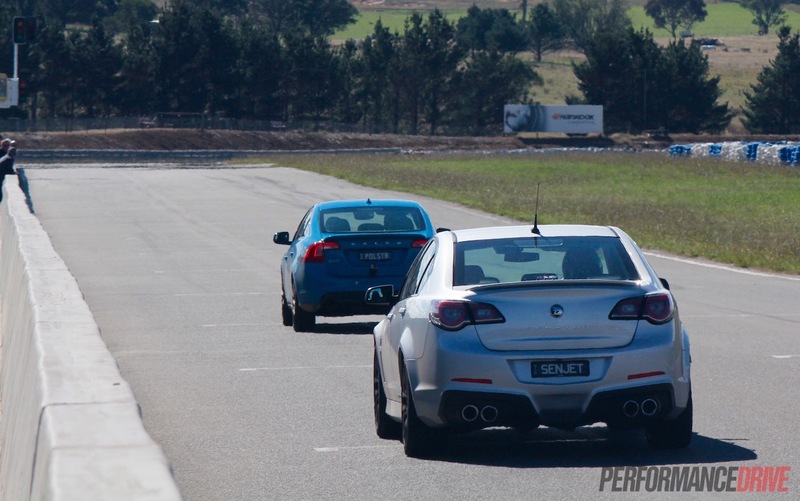 Overall, the HSV does produce a quicker lap time as you probably expected. We clocked an easy 1:11.4 in the HSV (also did a 1:10.3 but the camera wasn’t rolling, so we probably shouldn’t quote that), and a best of 1:12.6 in the Volvo. As we mentioned at the start of this comparison, these two cars are a lot closer than you might have thought. Check out our point-of-view video below for some of the track footage. It really depends on what driving style you prefer. If you like the whoosh of the turbocharger and the surging acceleration, and you like understated performance and European design, the Volvo is your car. 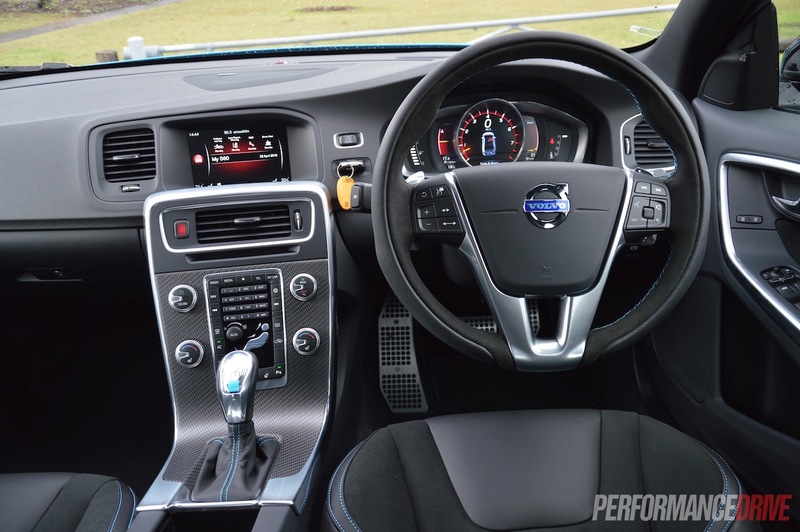 Grip is obviously higher in wet conditions in the Volvo, and it is overall a safer vehicle in terms of technology and crash test results (ANCAP: Volvo 36.34/37 versus 35.06/37 in the HSV). On the other hand, if you like to stand out in a crowd and let everyone know you’re coming, it’s hard to walk past the V8 rumble of the HSV. 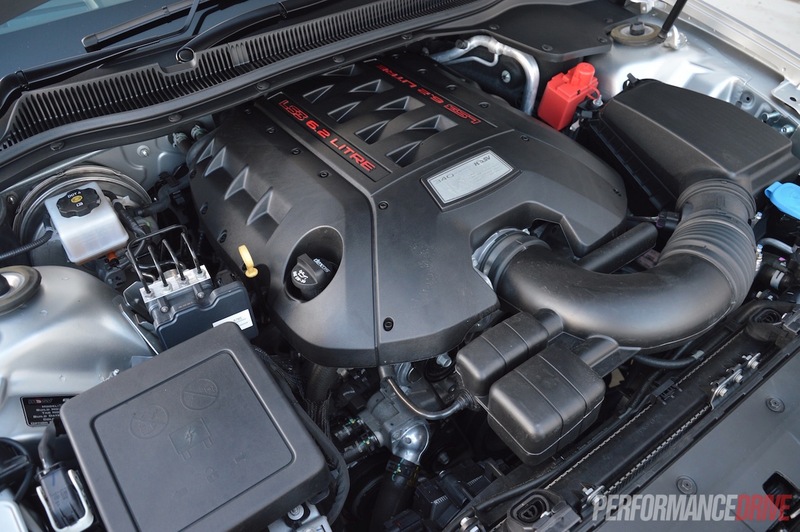 It is regarded as the more modest HSV on the market, but it does bellow out an almighty V8 roar with awesome power behind it. 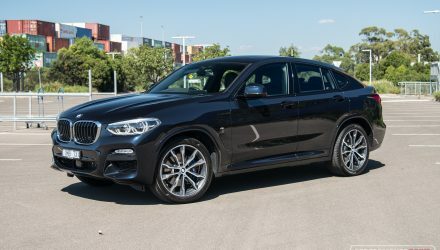 It is more affordable too, however, you do miss out on the higher refinement and better quality materials of the Volvo. It’s a difficult choice. 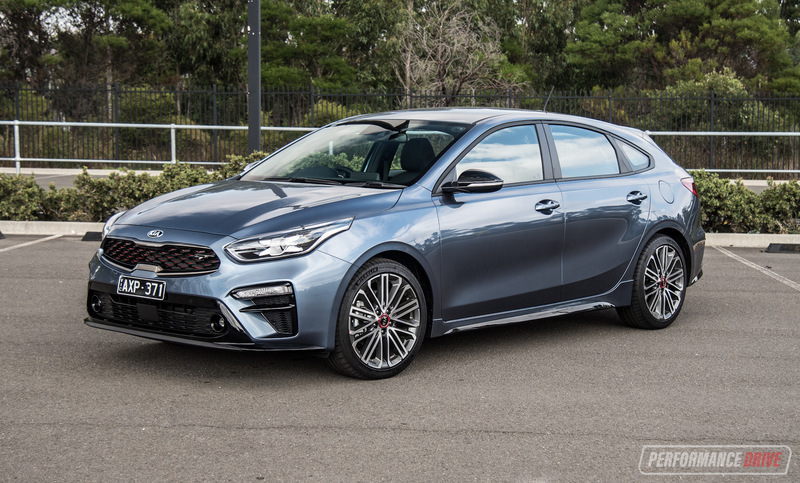 The main advice we can give you is to say both of these vehicles are fantastic fun to drive on the track and on the road. They’re comfortable, produce an awesome soundtrack, and they look great in their own way.